I’ve totally been a slacker with this blog and I keep making excuses but really I need to just get on the ball with it. 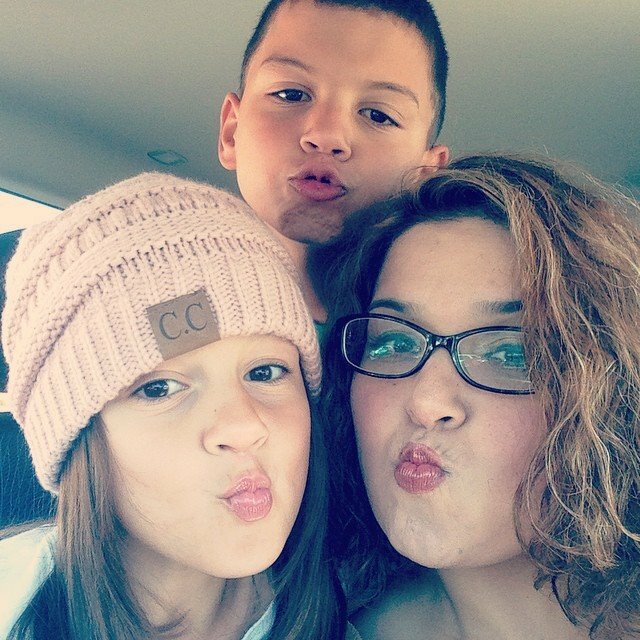 I really like this blog and like writing little posts but sometimes life gets too busy and I run out of time but here’s the deal I have made a personal commitment to try to blog at least once a day. You can hold me to it!! Okay I know most of you have read somewhere or have been given good advice on what to do or what to take with you to make a flight pleasant. I’m not an expert but this is what I discovered. First if you have a formula fed infant buy one of those snack dispensers. They usually have about 5 compartments and dish out about 5 bottle servings. This was a lifesaver with our 9 month old. Per the TSA regulations you can bring formula this way just don’t bring in water. You can buy it at the airport. Now that I’ve gotten that out of the way let me go on to strollers. I had tried to look up info on what to take with me and I couldn’t really find any info on what to do with strollers. Well I must have not really researched this too well because I soon discovered you can take a double stroller all the way up to the door of the plane and the crew will tag it and have it waiting for you at your destination. I didn’t know this so I only took my single umbrella stroller and we struggled carrying our two year old who soon became disenchanted and tired as we made our way through the maze that is LAX. Our airport trek would have gone a lot smoother if we had our double stroller. Another helpful hint is that if you are bringing a car seat make sure to buy a rolling car seat carrier bag. We bought ours on Amazon and basically it’s a strap/bag that attaches your car seat to your rolling luggage. You can strap your kid on the seat and tote them around this way instead of a stroller if you prefer. I prefer the stroller. I will be posting more product info on a later post. Now on to entertainment and snacks. Remember that you can’t bring water to the airport but you can purchase at one of the airport shops after you have been through TSA screening. You can bring as many dry snacks as you want to. I brought goldfish, crackers and some candy. For my 9 month old I brought a couple of jars of baby food and crackers. I also bought a kid pack from the airline. This usually comes with a fun bag, more treats and some kind of activity. I also bought a DVD player and a couple of movies. I can’t tell you enough what a lifesaver the DVD player turned out to be. It kept my two year old entertained most of the way. Also if you can ,try to book a late afternoon/evening flight. We took a 7pm flight and our 9 month slept through most of it. Also if you are flying with a toddler make sure to buy them their own seat. It really made it a pleasant flight because we all had room to move around. If you have a toddler make sure to also bring books, crayons and some type of coloring book. For my 9 month old I just brought a teething ring but he didn’t even use it because he slept most of the way. Make sure to also pack plenty of diapers, wipes and a sippy cup or two.. and oh one last thing, well actually two – try to get seats in the back of the plane. Usually there are more families in the back and if you need to calm a baby or if they are restless you can usually hang out in the back with the flight attendants. 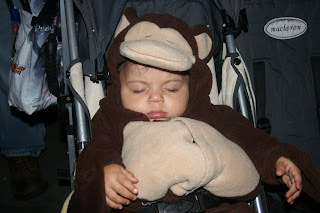 I did this along with two other moms and it helped with our restless little ones. Last but not least is to relax and know that as long as you are prepared you can handle any situation. My husband and I were terrified of flying with an infant and a toddler but it actually wasn’t that bad. I hope I’ve been able to provide some useful information and please feel free to share any tips that you have found helpful when traveling with tots. This entry was posted in airplane, vacation. 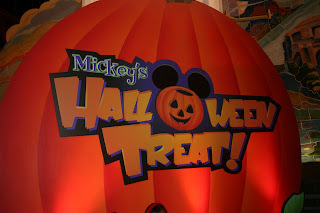 This October, Disney’s California Adventure held it’s third year of Mickey’s Halloween Treat, a special ticketed event. 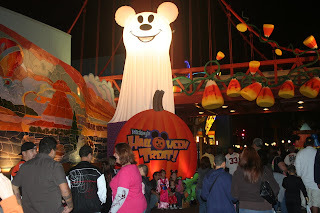 The park adds additional decoration, special entertainment and trick or treat station throughout DCA. 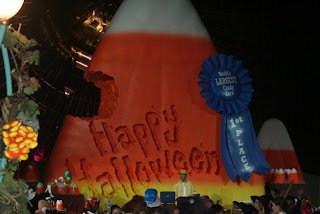 In the Sun Plaza, there is a giant candy corn and a dj playing music that you can dance to on a dance floor just in front of him. 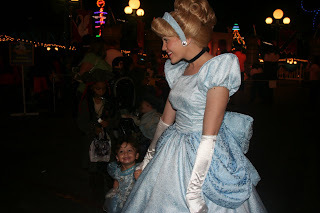 There are also several meet and greet photo locations.Our daughter’s dream came true as she was able to meet Cinderella, who took her hand and walked with her. This event invariably sells out every single year. Tickets go on sale in the summer and are usually sold out by the end of September. It is an excellent event for young children but children of all ages are encouraged to wear their Halloween costume to the park. It runs for four hours either from 6:30 to 10:30 or 7:30 to 11:30 PM depending on the night of the week. Even though the remaining dates are sold out, you can check ebay for available tickets. This entry was posted in Halloween, Orange County.